WE HAVE THE BEST MEAT IN TOWN! We believe in Fresh! Many larger stores are using a prepackaged meat product, that is cut in a factory, injected with sodium preservative solutions, and then shipped hundreds of miles to be stocked sometimes already being days old! But NOT us. Our meat is cut fresh for you daily in our meat department. Our Beef and Pork is ALWAYS fresh, NEVER chemically injected, NEVER prepackaged, and NEVER shipped long distances. YOU are important and WE will custom cut for you. Serve your family the best, from your Hometown Store! Photo shows Bill Koch (right) learning the meat department at a young age. 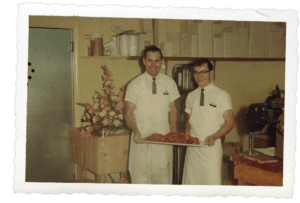 In 1965 Bill became a meat cutter, a passion he still has today. 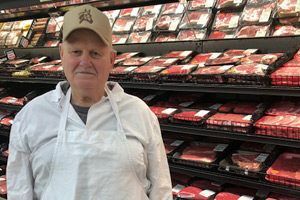 His passion for the meat department and commitment to excellence has been passed down to four generations now. This passion is the reason our locations are considered the best meat departments in the area. The right cut of beef can take your meal from okay to fantastic! 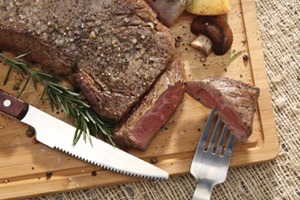 We’re here to help make sure your choice and cut of beef is best for any meal you are planning to serve. 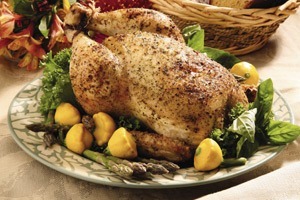 Our chicken items are a lean source of protein. Our cuts are processed to remain tender, and delicious, with no sodium solutions, or any other flavor enhancers. 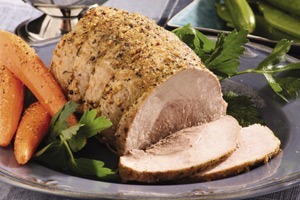 Pork is the most consumed and versatile protein to serve. It’s easy to cook, and can adapt to almost any recipe. Whether you’re cooking for one or a holiday dinner for twelve, there are pork cuts for all occasions. Dave has been with us since 2013, serving as Meat Manager. He has over 45 years of meat cutting experience and takes great care of his customers. Dave is married with 7 grown children. In his free time, Dave loves to go fishing. Brett is 4th generation family to work in the company and has a passion for cutting meat like his grandfather. 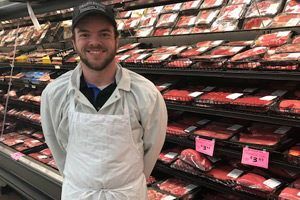 He started in the store as a stocker in 2013 and in the meat department in 2016. When Brett isn't working he enjoys playing golf. 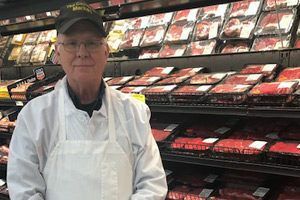 Laverne has over 60 years of meat cutting experience and has held a variety of positions, including a meat manager in another of our locations. He has 4 grown children and 4 grandchildren. Laverne's free time always involves horses.